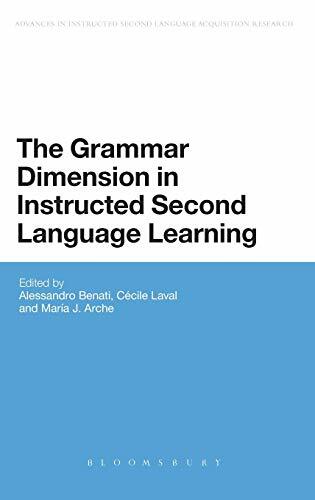 The Grammar Dimension In Instructed Second Language Learning (Advances In Instructed Second Language Acquisition Research): 9781441162045 Hardcover - LIMEROCK BOOKS INC.
One of the key issues in second language learning and teaching concerns the role and practice of grammar instruction. Does it make a difference? How do we teach grammar in the language classroom? Is there an effective technique to teach grammar that is better than others? While some linguists address these questions to develop a better understanding of how people acquire a grammar, language acquisition scholars are in search of the most effective way to approach the teaching of grammar in the language classroom. The individual chapters in this volume will explore a variety of approaches to grammar teaching and offer a list of principles and guidelines that those involved in language acquisition should consider to design and implement effective grammar tasks during their teaching. It proposes that the key issue is not whether or not we should teach grammar but how we incorporate a teaching grammar component in our communicative language teaching practices. Explores how grammar instruction influences second language learning and how it can best be incorporated into teaching.